With this set you can make 2 crocodiles. The set comes also with 2 river terrain tiles and foliage to place along the riverbank. 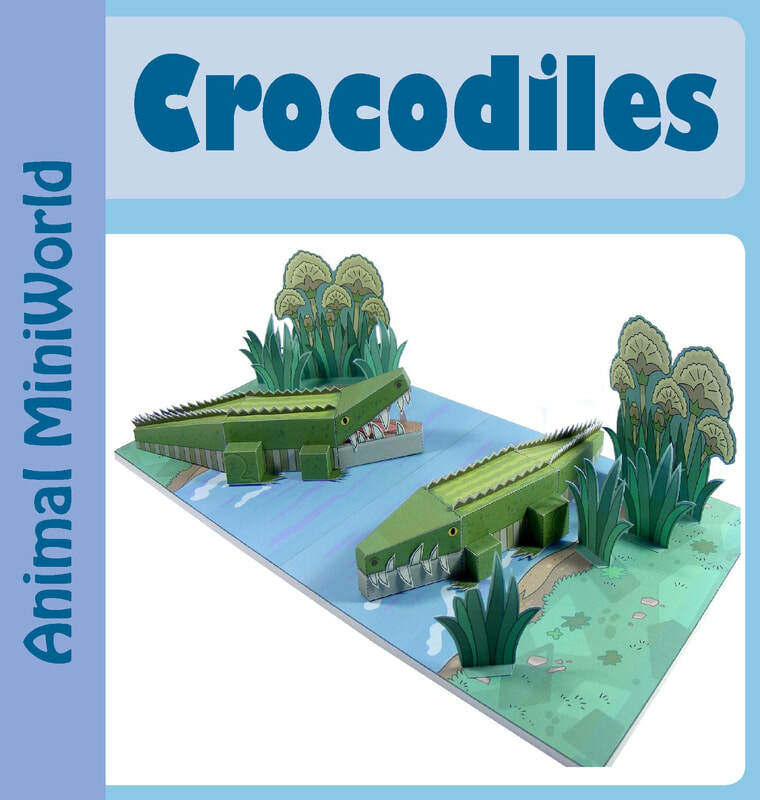 These animals can be used in a variety of ways: in a zoo setting, for your dinosaur play-set, as a diorama set for a school project, and even with the Bible MiniWorld set of Moses in Egypt to enhance the Nile River scene.